The Team receives four-thousand dollars. 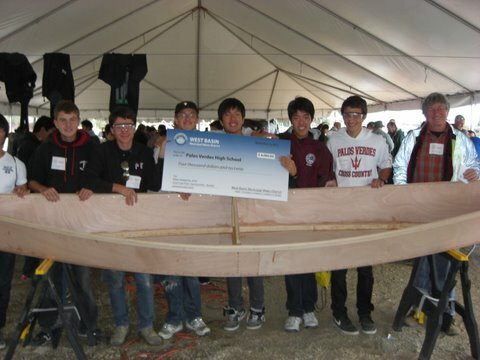 The Solar Canoe is a new branch of a more constructive engineering team that competes in the Solar Cup, held by the Metropolitan Water District in May. The team comprises of sub-teams that specializes in different categories of work: Paint, Solar Panels, Electrical System, Motors, and PSA. In January the team tested the newly painted boat in the Palos Verdes pool, without any problems; the canoe managed to pass the “leak-test” successfully. Currently the solar canoe lacks the basic materials, such as solar panels and batteries. Since this is the first year as a participant of the Solar Cup, expectations are limited, but will rise as the team continues on its path of progress.